Eeeek I didn’t draw a winner for the Simon Says Stamp Candy!!! What am I like?? Hopeless!! It’s Teddy Bo Challenge time again and the challenge is to make a shaped card. Soooo easy with the fab shaped cards from Which Craft UK. And yes I am still into my red phase, the pink did try to edge in but was promptly pushed out when I found this Nitwit paper (also from Which Craft UK). I have used Teddy Bea on Mushroom but went with the toadstool colours to bring the red in to the image. This was going to be my GDT card for Teddy Bo but the lovely Gayle asked if I would like to stay on as a permanent DT member and of course I could not say no. What would Ted think if I did lol. Thanks Gayle. I had such fun colouring Bea (even though it took me an absolute age lol). I didn’t use much Prismacolor pencil either, I spent more time laying down the Copics over and over till I got the depth I wanted. Check out those teeny tiny mushrooms, I got them from Meyer Imports, put them in a drawer and forgot all about them so was thrilled when I found them whilst looking for something else yesterday. Too stinkin cute! The gorge flowers are, as ever, from Wild Orchid Crafts – 25mm tea rose, 15mm roses, 8mm semi open roses. The guipure lace is also from Wild Orchid Crafts. 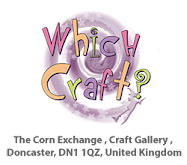 Before I get on to today’s card I thought I would let you know Wild Orchid Crafts is looking to recruit three talented DT members to join the existing team so if you would like to be considered please pop across to the Wild Orchid Crafts blog to find out more and enter. My card today was done for the LOTV Colouring Masterclass and I have had so many emails from the ladies that went asking me to post it on my blog, so here it is. We used Nitwit Collections papers (with their permission). I am still in my red phase although the pink crept in here lol. The swirl is a Magnolia Doo Hickey die, the flowers and pearls are from Wild Orchid Crafts and the pretty lace and seam binding is from The Ribbon Girl. And a close up of the image. Before I get on to my card I must make a quick mention of my new Daylight Table Top Lamp that arrived the other day. I already have a daylight lamp but it’s really old so when I was approached by The Daylight Lamp Company to review one of their lamps I chose the table top lamp. I love it and can’t believe the difference this has made (now I can really see all my mistakes!!) The head of the lamp is long and slim so can be pulled right over the centre of my desk – talk about a light-bulb moment when I used it the first time lol. I am well impressed, so much so it has made my beloved old lamp redundant and that’s saying something, I was really quite attached to it lol. So, enough waffle Bev, here’s the card that was supposed to be on my blog on Friday for this week’s Just Magnolia and hAnglar & sTanglar challenge hosted by the lovely Jacqui. I used those delish Nitwit papers that I got from Which Craft UK, I am loving reds at the mo (busy working on a couple of big commissions and keep on reaching for the red – guess I am going to sicken myself soon but best not as one of them is for Christmas cards!! Gulp I have never made a Christmas card this early before lol). The gorge flowers, lace and seam binding are all from Wild Orchid Crafts – I used cherry blossoms, 15mm roses and a trellis rose. The Divine Twine is also from WOC and is new in stock along with loads of other new goodies and lots more amazing stuff soon to arrive. I am drooling at the thought lol. The kisses button is from my button jar and for the life of me I can’t remember where I got it. The ticket sentiment is a combo of two stamps – the ticket is from Whimsy Stamps and the sentiment is from the Autumn Leaves Ticketed stamp sheet. Must dash, need to get one of my commissions finished and in the mail on Tuesday eek. Enjoy your bank holiday weekend. It’s the same old drill, just pop your name in the linky thing below (it’s not necessary to have a blog) and I will draw a winner on Sunday night. No card from me today as I have not been able to grab my photo’s off my camera as my Photoshop has gotten corrupted somehow. After spending hours on Google it appears that CS3 is BAD news, lots and lots of problems so now I need to go and get another edition of Photoshop. Me no happy!! So I will not get my card up till the weekend when I can go and get another. So, instead of my hAnglar card I thought I would share the Copic and Prismacolor video that I made a few weeks ago. I am not Copic certified or have any Copic qualifications at all, all I know is self taught so please forgive any errors as I have made the video as I colour and it works for me :) I have had to split it into four parts to get it on You Tube (what a journey of discovery that turned out to be lol). That’s this week’s theme on the Lili of the Valley challenge and as poor little On Tiptoe has been so neglected and I do think she is my favourite Lili of the Valley stamp. I love the First Edition paper pads, I don’t think there is one that is not stunning all the way through. Loaded with oodles of glitter and bling, just like I like it lol. And of course no girlie card could be complete without Wild Orchid Crafts flowers lol. Embellishments: Trellis Rose, 25mm tea rose, 20mm roses, 15mm roses, small silver and gold butterflies, pearls, pearl stamens, seam binding all from Wild Orchid Crafts, Cluny Lace from The Ribbon Girl. I got a few of the new Bildmalarna stamps to play with and I fell in love. How sweet is this little cutie!! I have used one of the shaped cards from Which Craft UK again – I think these are going to be my “go to” staples when I need a quick card. The gorgeous paper is from a Glitz Designs pad (links at end of post). Isn’t this little elephant so cute! 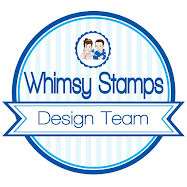 Our Ben’s nursery was done out in Humphrey when he was born so I was thrilled to be asked by Crafters Companion to make up a sample using one of these cute stamps in time for the release today at 11am on Create & Craft ….. and I just made it by the skin of my teeth lol. If you need a card in a hurry then you can’t beat the shaped cards from Which Craft UK as all I needed was a few scraps from my scrap box, a bit of ribbon and natch the gorge flowers from Wild Orchid Crafts and job done lol. And the winner of the Lili of the Valley Stamp sheet is …. Congratulations ladies, can you please email me your addresses to claim your prizes – please put the name of the candy you have won in the subject line. The challenge this time round at Wild Orchid Challenge is Embossed Layers. Either dry or heat embossing (or both) and at least 3 layers on your project. I finally got round to using this AMAZING digi image from Sugar Nellie, OMW isn’t she just stunning! And a peek at the inside for all those that email and ask what the insides of my cards look like – they are pretty much a copy of the front without the raised embellies. I hope you will get a chance to join in with this weeks challenge, we have two prizes up for grabs, the usual chock-full prize of floral deliciousness from Wild Orchid Crafts and then we have a new sponsor on board, Love to Stamp. I don’t have a card ready for today so thought I would give some extra candy away. I found this A5 Occasions Stamp Sheet from Lili of the Valley that I forgot to give away ages ago so here it is now. Better late than never lol. It’s Simon Says Stamp Saturday Surprise again, and this week the lovely girls at Simon Says Stamp have given me Tilda with Daisies to give away. We have a brilliant sketch to follow this week by our lovely teamie Donalda on Just Magnolia and hAnglar & sTanglar challenge. I had this image coloured from Christmas so lopped her wings off lol and transformed her into a birthday card for my friend’s daughter. I’m back to my pink – do without it for a day or two and I go into overload lol. The papers are the newest digi release from Nitwits called Super Meewee – lurve the pinks!! This week at Lili of the Valley challenge the theme is Summer. So I thought I would go with a bit of cricket, a row of bunting and lots of plaid. I just love that bunting die from Whimsy Stamps, the detail on it is amazing and I didn’t even use the third part of the die which is the scalloped bit that goes across the top. Well impressed and they are so reasonable and cut perfectly every time – does what it says on the packet. And no I am not reviewing it lol, I bought it and forgot about it and rediscovered it the other day and really love it, watch this space for me using it a lot more. Still no pre-prepared cards ready to post, but am almost all caught up now :) So, here’s another of the cards I did for the Stampavie newsletter. If you are not subscribed pop over to the website and sign up, it’s free and you get one in your mailbox every couple of months. How sweet is this image! The only difference between that image and me with my dogs is that with having 7 they get to sit on the sofa and I get to sit on the floor lol. It’s the Teddy Bo Challenge today and it’s a fathers day theme. I followed the wrong theme so my card is definitely not for Dad lol. So here’s my card any way, little Baby Bea instead. I picked up these Nitwit papers from Which Craft at the last show I was at, so pretty and perfect for a new baby girl. I didn’t use any lace or ribbon on my card today but managed to squeeze in the guipure lace heart. Congrats Hazel, please email me to claim your prize (pop Tilda with Cat in the subject line please). I don’t have any new cards to share so here’s one of the cards I did for the Stampavie May newsletter. If you don’t get it pop over to the website and sign up, it’s free and the DT have done some fabulous projects for it.